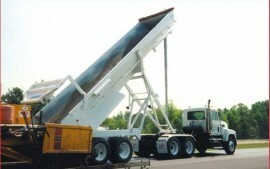 Clement has been quietly creating premium steel dump trailers and aluminum dump trailers since the early 1950’s. Take advantage of one time, deep discount pricing! You will be amazed when you see Clement’s latest dump trailer. The unique uni-beam construction in the suspension area puts the beef where you need it, yet keeps the weight and stress down. Read why Clement Dump Trailers are America’s leader. Save big bucks and get maximum payloads! Fill out your information below and we'll respond promptly to give you more information about our Clement Dump Trailers.